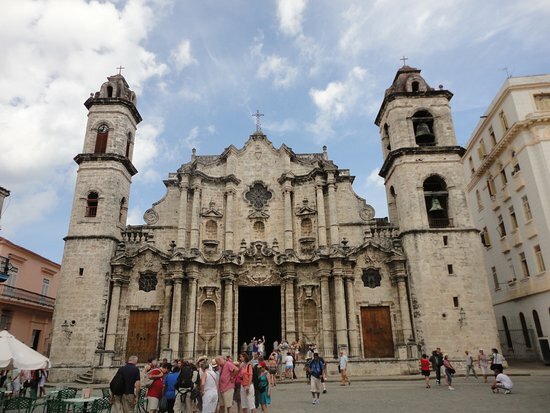 Havana, Apr 28 (Prensa Latina) Experts from more than 14 countries will participate from May 8 to 11 at the XVI International Meeting on Heritage Cities Management, based in this capital, reported its organizers. In the meeting, which has as Honorary President the City Historian, Eusebio Leal, will be present more than 50 speakers from Venezuela, Bolivia, Argentina, Mexico, United States, Holland, and Turkey, among other countries. According to the official announcement, the meeting aims to share knowledge, disseminate experiences and promote dialogue and cooperation linked to the theme of tourism in urban spaces and heritage sites. The forum includes lectures, panels, and the inauguration of the exhibition ‘Cultural Landscape of the Bay of Havana’. The International Meeting is sponsored by the European Union, the Barcelona City Council, the United Nations Educational, Scientific and Cultural Organization (Unesco), among other entities. This entry was posted in Cultural, The Blockade?. Bookmark the permalink.